A fresh flower bouquet can mark a special day or show someone you care. As a symbol of love, friendship, or appreciation, rose bouquets are the most popular floral arrangements. Roses have a lifespan of about seven days once they are cut. 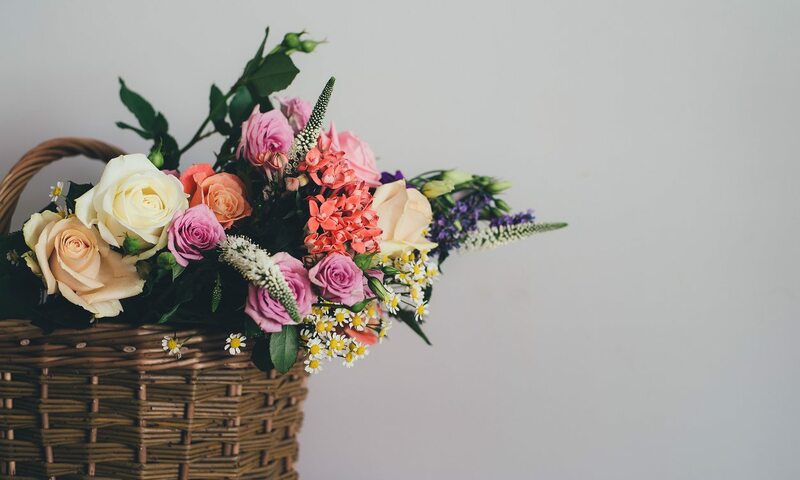 By taking optimum care of your bouquet, you can keep the blooms looking fresh and beautiful, so you can enjoy their natural beauty and fragrance as long as possible. Trimming the leaves enhances the appearance of the rose bouquet, and it will also keep the flowers fresh longer. Submerged leaves rot and add harmful bacteria to the water that will impede water absorption. Trim any leaves that will fall into the vase or touch the water. Cut at least one inch from the stems, using a sharp knife to make a diagonal cut. Cut the stems under running water for immediate absorption. Don’t cut them too short, as you will need to trim the stems again in a few days to maximize the life of your bouquet. Many florists deliver flower food with their bouquets. You can also mix two ounces of mouthwash with a gallon of water or add lemon-lime soda to the water to substitute for flower food. Both of these mixtures provide sugar to nourish the fresh roses as well as inhibit bacterial growth. Bunch the stems together, place them in the vase, and let them fall against the sides of the vessel. Spend some time arranging the flowers with the tallest roses in the center or the back of the arrangement. You can also try using different vases to see which provides just the right support for the amount of fresh roses and the length of the stems. Re-cut the stems under running water and change the water in the vase every two days. This process will keep your roses looking great for as long as possible.